These days buyers in Arlington are becoming more selective when it comes to purchasing homes as inventory is tightening up and prices continue to rise. Open kitchens, renovated bathrooms, and finished basements are all common checklist items for purchasers. 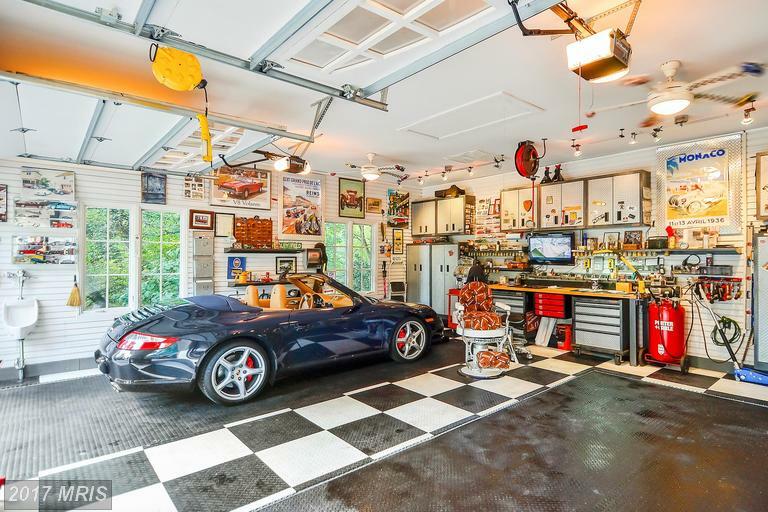 Garage parking is also a common buyer preference and for one lucky buyer, a home with five garage parking spots has just hit the market. 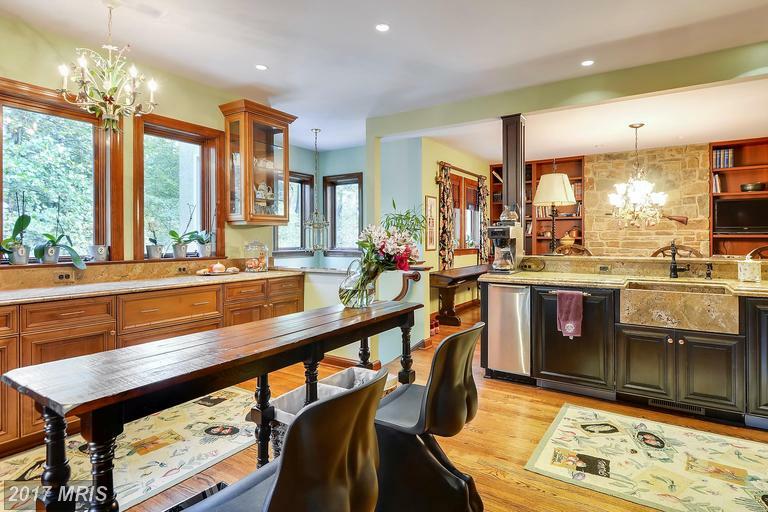 4015 North Randolph Street (map), dubbed ‘Garage Mahal’, is on the market for the first time and comes with a four-car garage along with a detached one-car garage. 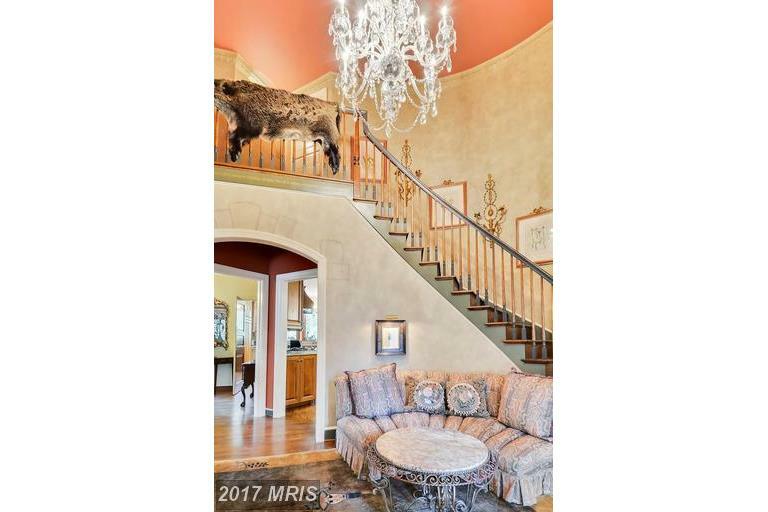 The home is listed for $2.1 million. 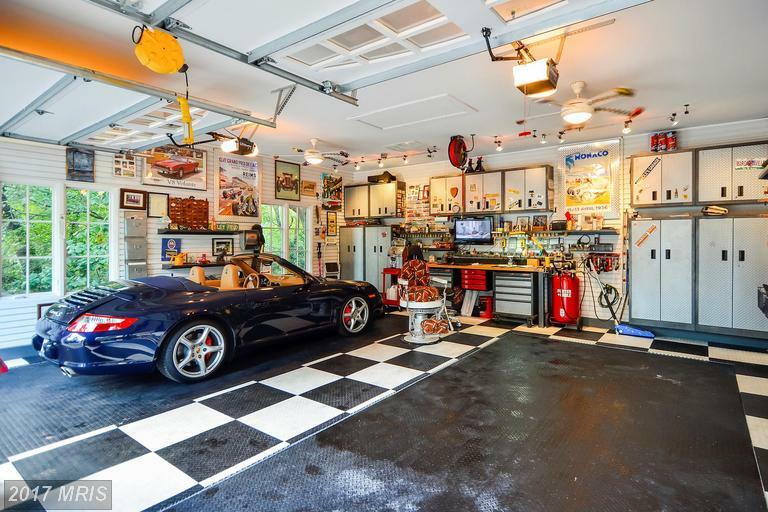 Two-car garages are becoming standard now for new homes. 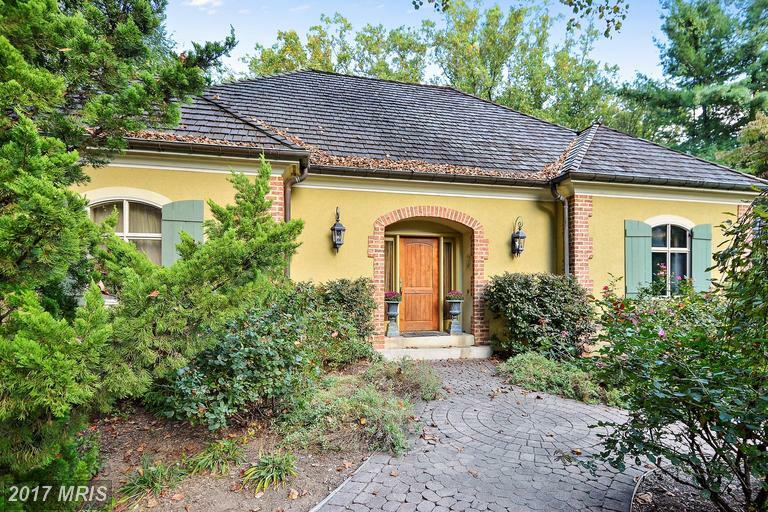 We are even starting to see some three-car garages for those homes in the upper price brackets. 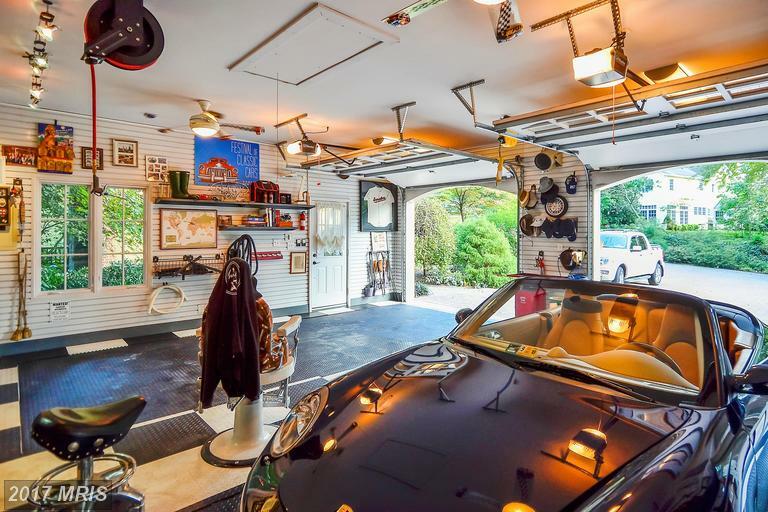 But a four-car garage is extremely rare, especially for a home built in 1987. So how did this happen? The larger of the two garages is essentially a two-car gage, but it has been outfitted with two separate hydraulic lifts. The driver of the first car would drive on the black floor deck to initiate the hydraulic sequence. Once the driver has stepped out of the car and started the system, the car is then lowered below the garage and a second black platform is then covering the space where the first car was parked. It is at this point that the second car can be parked basically above the first car. Look behind the car. Does that count as a half bath? And just like that, with two of these lifts side-by-side, your two-car garage is doubled. Add that to your regular attached garage and you have your five garage parking spots. Oh, and the rest of the home is not too shabby either. Other features include an outdoor pool, open kitchen, back deck, four bedrooms, 3,500 square feet of living space, and the home sits on a whopping .70 acres of land. Some minor cosmetic work will need to be done (think: removing wallpaper. Removing lots of wallpaper), and you will have to ignore the dead bear (large wolf?) that welcomes you into the home. 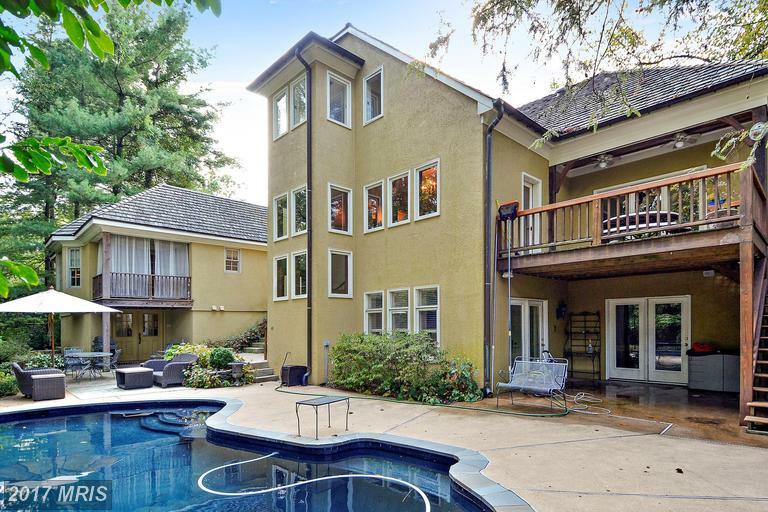 Other than that (or should I say, ‘in addition to that…)’, this home is truly one-of-a-kind. This property is listed by Residential Management.